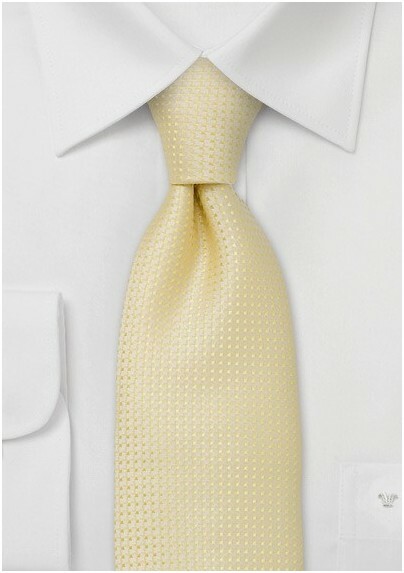 Add a colorful and whimsical twist to your style and your aesthetic with this handwoven birds eye patterned tie in a proper shade of perfect yellow. The sweet shade of yellow looks sensational paired with soft toned neutrals and dramatic dark blues. 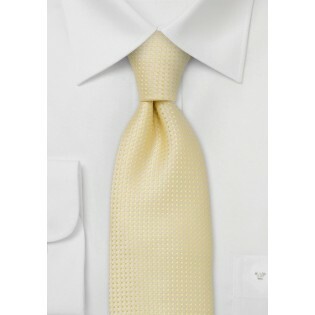 We love to see this extra dapper necktie paired with a chambray collared shirt, navy blue chinos and a yellow cotton belt. This season is all about playing and accessorizing with unique and clever menswear accessories. Crafted from a one hundred percent premium crafted microfiber.